I am pretty sure every single friend on Facebook has or will be traveling to Iceland this year. 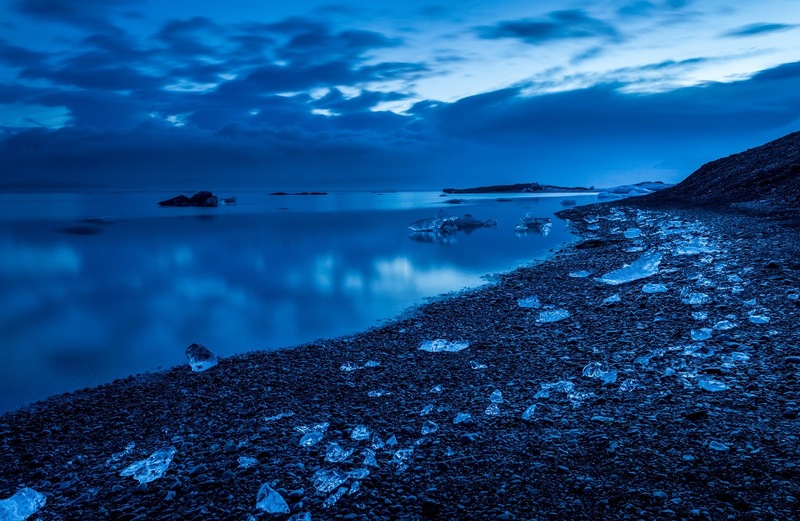 Iceland is arguably one of the most popular destinations for 2016. Luxury Travel Guide and Budget Traveler both listed Iceland at the top of the list of places to visit this year. What exactly makes this ice-capped paradise so popular? Probably the biggest draw to Iceland is the northern lights. During the northern lights, the sky glows with vibrant colors (the result of collisions between gaseous particles in the Earth’s atmosphere). 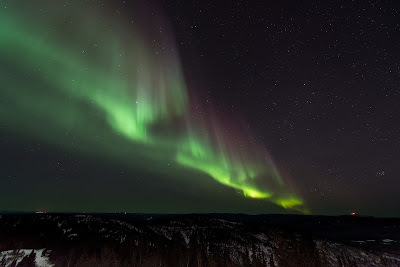 Now whether or not you will actually see the northern lights during a trip to Iceland depends on factors such as solar wind conditions and space storms. How cool is that? The northern lights aren’t the only reason why many people pack their snowshoes and head to Iceland. 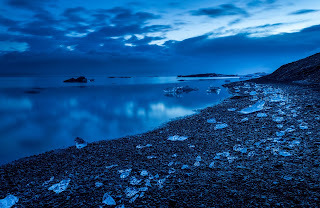 The country is a photographer’s dream with glaciers, lava formations, geysers, and the famous Blue Lagoon. There is also the Black Sand Beach, the Skogafoss waterfall, and the Hallgrimskirkja tower. Iceland also offers some spectacular places to do some whale watching. The country has also provided the backdrop to several Hollywood films such as the recent Star Wars movie, Tomb Raider, Die Another Day, and Batman Begins. Now, the number 1 reason why more and more people are heading to Iceland is the cost. I am looking right now, and if you live on the east coast of the United States, you can book a flight to Iceland for about $350. WOW Air and Icelandair both offer affordable flights to Reykjavik – Iceland’s coastal capital. Accommodations? International Vacation Home Exchange has you covered. There are a vacation home exchange cottages near Mývatn. Mývatn is a shallow lake located near some active volcanoes. The lake and its surrounding wetlands provide great opportunities for bird watching. Bottom line, if are looking to get away from it all, this is a great place to do it. First, you are in Iceland. Second, you wake up to views of glaciers and possibly even whales. That sure beats the city skyline. If you are interested in reserving this home exchange property, contact the travel coordinators at International Vacation Home Exchange. Perched on a rocky inlet, just off the coast of Northern France, lies a tiny medieval city with an ancient Gothic abbey as its focal point. 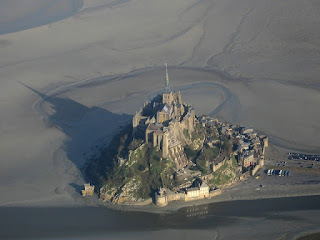 It’s known as Mont Saint-Michel and it dates back over 1000 years. At a friend’s suggestion we made a stop there after touring the nearby Beaches of Normandy. My friend had recently taken the same trip and couldn’t get over how much this monument had impressed her. We were equally as impressed, if not more, as we strolled along the narrow streets and were transported back to medieval times. 708. He instructed the bishop to build a church on the rocks just off the coast. St. Aubert ignored the angel’s instructions. Saint Michel decided to let St. Aubert know he was serious and proceeded to burn a hole in the bishop’s skull with his finger. Well, that seemed to do the trick and soon plans began to get underway. This secluded little city has a population of 44 inhabitants and even has its own mayor. As you walk the narrow, hilly streets and climb the 900 steps leading up to the famous abbey you will pass many quaint shops and restaurants all along the way. Once you find your way to the massive Benedictine abbey you can wonder its small rooms with its tiny staircases while taking in the breathtaking views of the bay which surrounds it. Up until just a few years back the abbey was only accessible via an ancient causeway. Recently a new updated bridge was constructed featuring a path for pedestrians as well as a road for shuttles to transport visitors back and forth to the car park. Attempting any other way to approach the abbey is not advised as deep mud and quicksand surround the island making it quite treacherous. There have been several incidences of tourists attempting to walk to the abbey at low tide and drowning in the process! You may remember seeing Mont Saint-Michel on the news fairly recently as it gained worldwide attention in 2015. In March of last year a massive “Supertide" made the site a true island for a period of time by completely surrounding it by water on all sides. This incident occurs only once every 18 years and thousands of spectators gathered to watch. 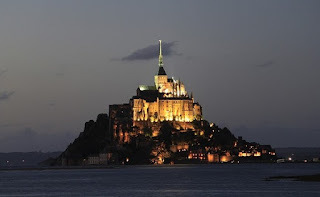 The site will gain media attention again this summer as Mont Saint-Michel will host the start of the Tour de France Cycle Race in July of 2016.
International Vacation Home Exchange has several luxury properties located in France. 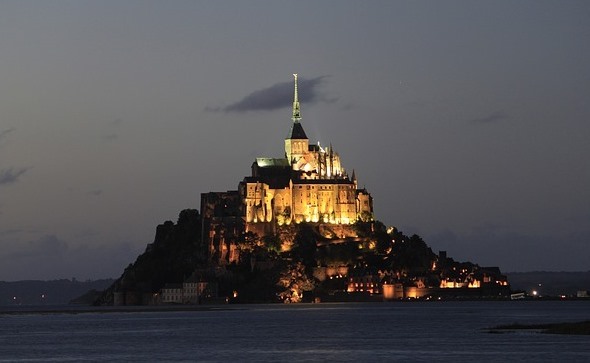 Be sure to add a day trip to Mont Saint-Michel to your itinerary but please, by all means, remember to use the bridge to get there. Florida takes its name from the Spanish explorers who arrived on our shores in 1500s. It literally means “flowery land,” and it lives up to its name. 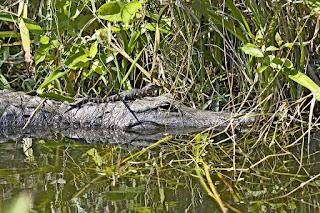 There are many different images that can be associated with Florida; whether your picture is palm trees and white sand, verdant forests, happy families at Disney, or alligators in swamps, you’re correct. Florida has a lot of wildly different, equally delightful landscapes to choose from. Much like its landscapes, its communities and attractions are quite diverse. With over 1,300 miles of coastline, Florida boasts the most ocean frontage of any state in the contiguous US. From the warm, calm gulf waters to the West, to the vibrant beach and surf communities that thrive on the East, if you’re looking for a seaside getaway, Florida is the place for you. Each beach community is unique, like a world unto itself. With so many different cultural influences, it makes sense that there is so much diversity to be found in the southernmost State in the US. 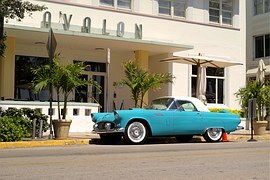 South Florida – and Miami in particular – is rich with a Latin culture and home to some of the best Cuban food, the hottest nightclubs, and the most populated beaches in the US. On the Northeast coast, historic Saint Augustine offers unbeatable shopping, unique (often macabre) attractions, and miles of beaches. 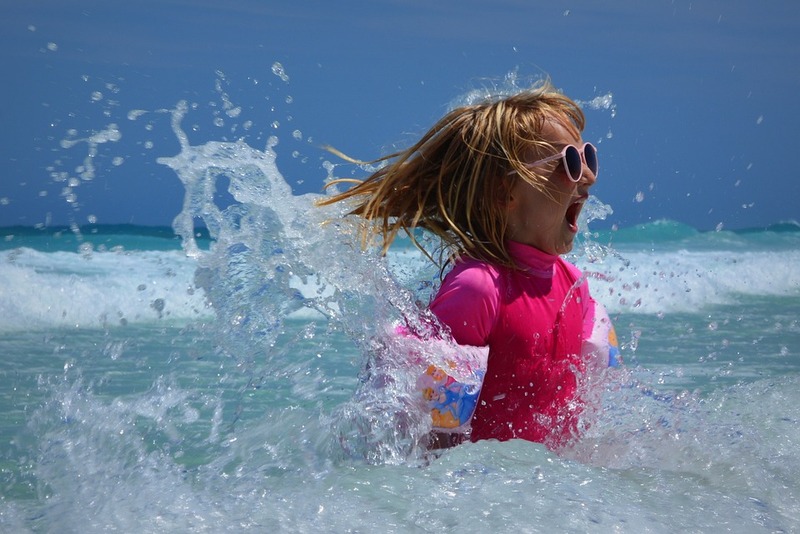 The gulf coast is home to Destin, a top vacation destination with world-class fishing, premier golfing, and a very family friendly atmosphere. If you’re not much of a beach bum, there are still plenty of options for you in Florida. 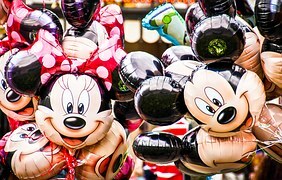 There are plenty theme parks, from Busch Gardens in Tampa to the ever-popular Disney World in Orlando. 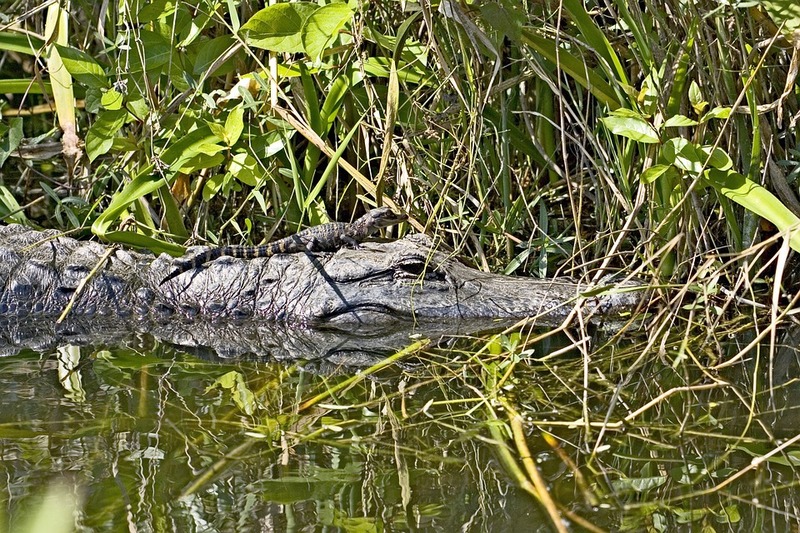 Florida is also home to some of the most scenic and unspoiled natural habitats in the US. Visitors can enjoy the beauty of nature from one of the 150+ State Parks in the state, seeking out wildlife, natural springs, historic monuments, and more. Florida is a state made for visitors. Our economy is largely built around tourism and hospitality, so it is uniquely positioned to enchant out-of-towners. Even the Florida locals will tell you that there are plenty of items still on their “to-do” list – you could spend a lifetime here and still not see it all! There are so many hidden gems in the state that your biggest challenge as a visitor will be trying to decide what to do first. International Vacation Home Exchange, IVHE.com has many fabulous homes for you to plan your vacation to Florida. Click on the city links above for some of the choices and to fine tune your search, use the more options area - like golfing in Florida, fishing in Florida or beaches in Florida. We also have a selection of additional blogs on home exchange in Florida featuring: St Augustine, Pensacola, and Marco Island, enjoy. If you’re new to the idea of vacation home exchange and looking for an ideal place to start, make it in Southern California. You simply cannot imagine the variety of experiences possible to you. If your interests lead you to the arts, there are world class museums, superb concert venues, and much more. The popular arts abound with concerts, art fairs, classes and more. But today, we thought we’d focus on the quintessential immersion experience in the greater Los Angeles area: The Santa Monica Promenade. This multi block long venue offers an almost inexhaustible number of activities for someone visiting the area. Retail stores abound. Nationally recognized stores are in the majority but there are also some intriguing local offerings as well such as the architectural bookstore located around the corner near the north end of the Promenade. Restaurants are so plentiful that the largest problem visitors face is having to decide on which one appeals the most. From seafood to pizza; from elegance to the extremely casual, you will find something to tempt your palate. Many dining venues feature small outdoor patio areas which afford diners the pleasure of the mild, sunny weather as well as uninterrupted people watching. Believe us when we say, half the fun of going to the Promenade is experiencing the full panoply of Los Angelinos, including the occasional celebrity. The Promenade is user friendly with many places to sit and relax before pressing on with your explorations. Every few yards you can find small kiosks selling refreshments. 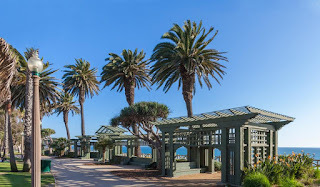 The weather is almost always pleasant, even on the hottest summer days because the Promenade is located on the bluffs just inshore from the Pacific Coast and the famous Santa Monica Pier. 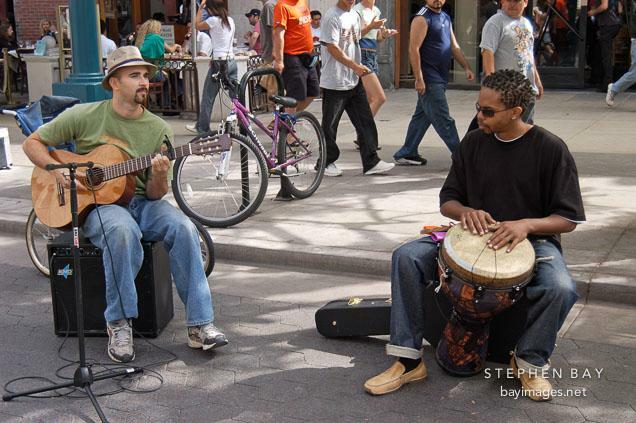 While you’re relaxing with a beverage you’ll undoubtedly be diverted by one of the many nearby street entertainers. We’ve been amused by jugglers, magicians, and music performances of untold varieties including, classical cello, Peruvian music, and folk music. On Saturday evenings, singers, songwriters and other performers swell the daytime ranks offering you a wider range of amusements. These entertainers are always grateful for any tip you care to offer. If you need a break from the kaleidoscope of sight and sounds, there is a lovely bluff top part with cool grass, swaying palms and inviting benches within easy walking distance. The park overlooks the blue waters of the Pacific Ocean and historic Highway 1. It is a popular venue for picnic lunches, dog walking, jogging and skating. When you’ve finished with your Southern California vacation home exchange adventure, be sure to share your thoughts with other IVHE.com members. Your experiences may very well help another member have a memorable visit to the area and the Santa Monica Promenade. In our next blog post, we’ll take a trip north on Highway 101 to Santa Barbara where we did research for one of our novels. In the meantime, Happy Vacationing! Listening to the gentle lapping of the waves against the shore is just one of the many pleasures of Puerto Vallarta. Surrounded by a variety of beautiful beaches, The Bay of Banderas can either lull you into a state of relaxation or provide an aquatic stage for watersport fun. For a different but still intense beauty, try visiting the Marietas Islands just offshore (these island were made famous by oceanographer Jacques Cousteau). Explore the varied wildlife beneath the ocean or just take in the stunning views onshore. In addition to gorgeous seascapes, the Sierra Madres, enclosed in dense, tropical rainforest, drop dramatically to the Bay of Banderas and provide a rich, topographical backdrop to this remarkable place. Within the rainforest near Puerto Vallarata is Jardin Botanico Vallarta, or the Puerto Vallarta Botanical Gardens. These extraordinary gardens feature an impressive array of naturally growing orchids attaching themselves to tree bark or in other soilless environments. There are dramatic hiking trails amongst the thick of the rainforest; sturdy walking shoes and insect repellent are recommended. Carved out from this lush abundance are sculpted gardens and a lovely place to get a drink; there is also an eclectic gift shop which offers such unique items as hand-painted eggs with botanical scenes. If you want to pick up the pace, the Puerto Vallarta area offers zip line adventures through the rainforest or “canopy tours.” For more exploration, consider an ATV excursion. Adventure of a different sort can be found in Puerto Vallarta’s robust nightlife. For a more contemplative side of the city, visit Nuestra Señora de Guadalupe, the decorative church in the heart of Puerto Vallarta. Another delight are the restaurants in the hills overlooking the city and the Bay of Banderas offering stunning views—day or night. Open-air restaurants are particularly charming, and nearly all feature tropically infused desserts difficult to resist. Also difficult to resist are the many colorful shops throughout Puerto Vallarta. Happy Latin colors vibrantly pulsate throughout the shops, boutiques, and galleries offering everything from dishware to fine art. Some of Mexico’s most famous artists are featured here. In addition to fine art, Puerto Vallarta has refined, world-class accommodations. Some of the finest are luxury exchange homes with International Vacation Home Exchange. Each exclusive home exchange, uniquely decorated and furnished with a decidedly Latin flair, has modern amenities. Learn more about these remarkable homes and see how it works. When it comes to home exchange travel, you want to keep your regrets to eating too much, staying out too late and tanning unevenly not failing to do enough travel research. Don’t be one of the many uniformed travelers each year who end up with a disappointing holiday or cancelled travel plans. Here are 5 common travel mistakes people often fall victim to. There are certain countries that require a special visa before being granted entry into their country. Don’t be one of the many travelers who find this out at the ticket counter and are denied boarding. 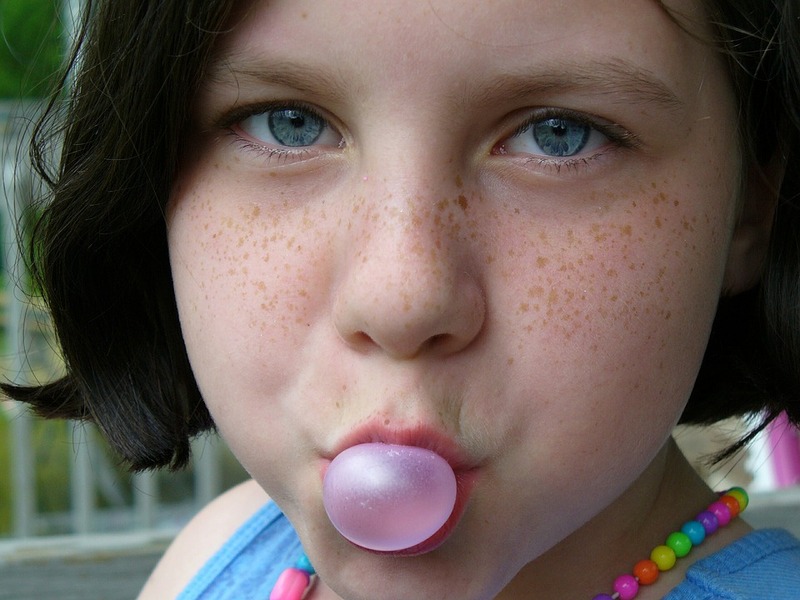 Chewing gum in Singapore and spitting it out on the sidewalk could have much higher consequences than getting stuck on somebody’s shoe. There are many different cultural laws around the world that would surprise you so be sure to find out if any apply to your destination. Forgetting to contact your credit card company about your travel plans could result in a freeze on your account. Who wants to waste vacation time on the phone answering security questions with customer service while you try to remember if your first pet’s name was Sadie or Oliver? Always contact your bank before you travel. 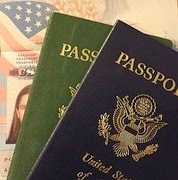 Some countries require up to a 6 month expiration time on your passport in order to board the plane. As of this year several new countries have been added to that list. Always look into the passport requirements for the country you plan to travel to and don’t assume your passport is valid right up until the expiration date. If you are a US passport holder and you are up for renewal this year, be advised that 2016 is expected to be their busiest year for renewal. Don’t put off renewing and risk experiencing long delays. What a great convenience it is to exchange currency while you are right at the airport. Convenient, yes, but best rate? Airports tend to have the highest exchange rate. Do a little research before you decide where to exchange your funds. I have found using an ATM once I arrive at my destination to usually be the best choice. You’re now ready to book your next IVHE.com home swap a little better informed. Whether it’s Thailand , Tenerife or somewhere in-between these tips will save you some travel troubles so your holiday is memorable for the right reasons. It’s a common dilemma for the animal lovers among us: How do you balance your obligations to your four-legged friend with your love of travel? In a perfect world, you and your pet could travel the globe together with ease and you’d never have to make a hard choice between traveling and spending time with your pets. 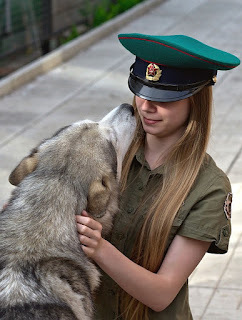 While that isn’t always the case, there are certain instances where it is quite possible to combine your love of travel with your love for animals. Vacationing with a pet is a very doable, provided you take the right precautions and put the right plans in place before you disembark – no pun intended. When traveling with pets, it is imperative that you consider how stressful this can be on your furry companion. 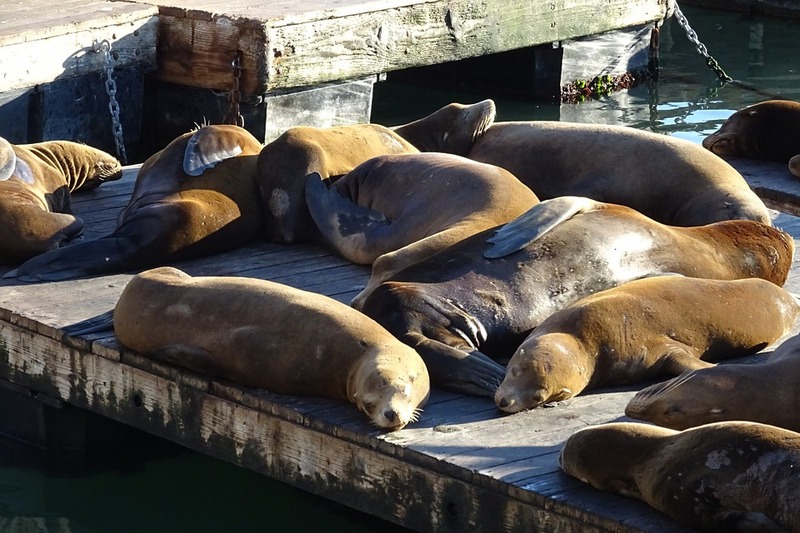 Most animals are used to a specific routine and don’t get out too often. Unless your pet is a veteran road warrior, you should take some extra precautions to ensure that they will be comfortable. For those with more extreme cases of travel-induced anxiety, a veterinarian can recommend appropriate medication to keep your pet calm during travel. Some animals are also prone to carsickness, but there are medications available for that as well. 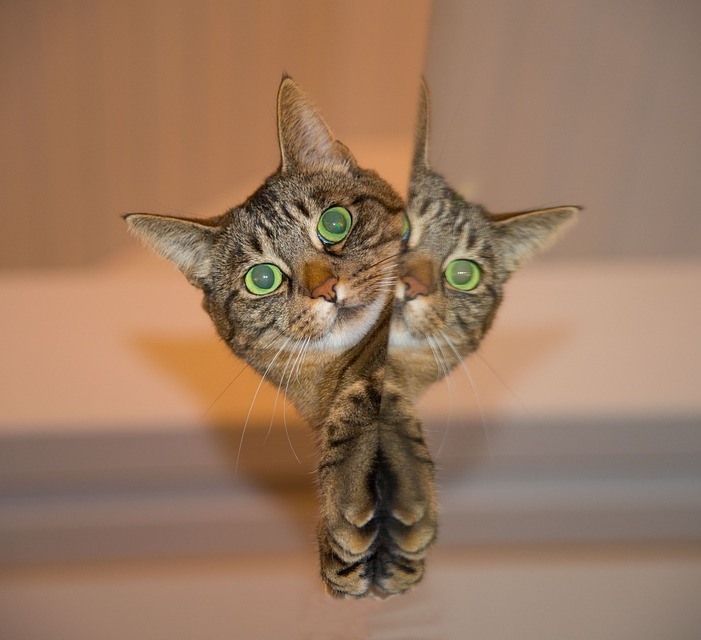 In short, better living through chemistry is also available to your animal companions, so don’t hesitate to seek out the advice of a vet before shipping out. Each mode of transportation has its own pros and cons, so it’s up to you and your vet to determine whether your pets are up to the task of riding the rails, hopping a plane, or navigating the highways. It is also very important that you seek out appropriate accommodations for you and your pets on your travels. 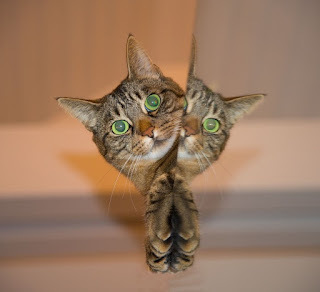 There are many animal-friendly hotels and rentals available for those who do a little research (such as taking a look at the pet-friendly lodging website petswelcome.com), but make sure you’re keeping your pets’ temperament and individual needs in mind as well. For instance, if you have a very active dog, keeping them in a small hotel room might significantly cramp their style and make the trip less enjoyable for you both. Instead, seek out something with some room to run and possibly even a yard. 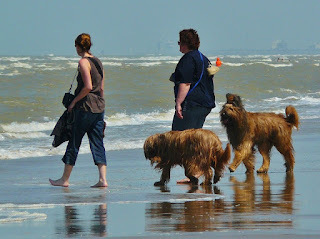 Finding activities that you will both like will also ensure that your pet enjoys the vacation as much as you do. Taking adventurous dogs for a nature hike or sociable dogs for a stroll around downtown will do wonders for your pooch’s experience. Cats are a little more laid back when it comes to activities, so you’ll want to find somewhere reasonably quiet with some safe spaces for your feline friends to get some privacy. No matter where you stay, make sure you’re not only thinking about your own needs, but keeping the four-legged members of your traveling party in mind as well. IVHE makes it easier to find a home away from home that will help you and your domestic companions enjoy your trip. By selecting their “pets considered” filter while searching for properties, you’ll find a comprehensive list of the global luxury vacation homes that may accept your cat or dog. When you’re traveling with pets, you can’t beat the space and accommodation that a real home can provide, so this can be one quick way to ensure that you find the right digs for your dogs. 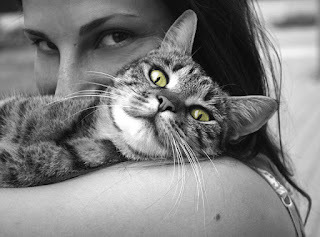 While it can take a little extra preparedness to design a vacation around your pet, it is worth it. You’ll never beat the peace of mind you’ll have with your best friend close to you on your travels and your pets will get to experience new sights and smells that will keep them engaged and excited to hit the road with you next time. Are you in interested in savings thousands in vacation accommodation costs? How about relaxing in an exclusive vacation home on your next holiday? If you are new to home swapping and home exchange, this is the perfect opportunity for you to learn how to travel the world, stay in great places, while saving money. Get a Free e-book: the Home Exchange Guide here. Download, Free audio chapters of the Home Exchange Guide here. What are all the benefits of planning a home exchange? Are all home swaps the same? There are many options in home exchanging and dozens of home swapping networks and websites. How do you choose which one is going to meet your needs? Learn about the different features and then choose what is best for you. How do you get an exchange? How do you ready your home? How to prepare for your vacation? Plus learn about 10 Things to Avoid, Your Membership Checklist, and review a sample Home Exchange Agreement. 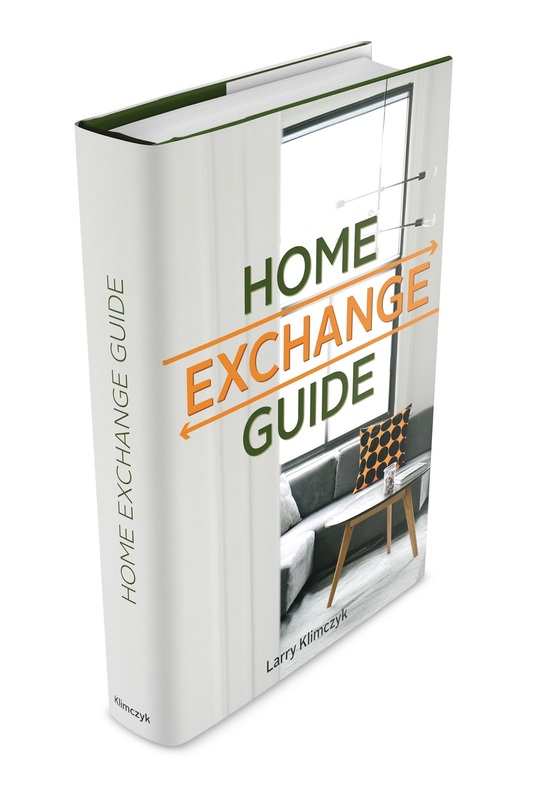 The author, Larry Klimczyk shares with you useful insights from over a decade of home exchange experiences and from traveling the world (over 70 countries). Subscribe to this blog or the IVHE podcast series and automatically receive an email with interesting updates on travel news. Download a PDF version of the book today at Home Exchange Guide. Interested in listening to IVHE.com member’s experiences, go to our full range of podcasts or visit our testimonials page. “Once a year go someplace you’ve never been before” the Dalai Lama is quoted as saying and if he’s priced airfare lately he’d know that now is the time to go. Travel experts are currently seeing the lowest airfare in years! According to Airline Research Firm, Hopper, a combination of low fuel prices and an increase in competition has pushed airline prices to the lowest they have been in 4 years. If that’s not reason enough to persuade you to start booking your next IVHE.com home exchange then here are a few more reasons that will have you booking your new adventure today. Studies show that vacationing is known to lower the risk of heart disease, help with depression and promote brain health. With health benefits like that there’s no need to feel guilty about never actually running in that marathon you’ve always talked about. Traveling and experiencing new cultures is known to increase intelligence. Do you come in last at every Pub Quiz Night you attend? Maybe a week on the Amalfi Coast or a Caribbean island will change that. It can’t hurt. Why read about history in a book or watch a documentary when you can experience it for yourself. There’s no better way to learn and retain information than with a first hand experience. According to the US Travel Association, couples who often travel together have been found to have happier and healthier relationships. While it may not make your husband any more willing to ask for directions, couples who often face the challenges of traveling to foreign countries are found to have stronger relationships. You’ll have experiences that will last a lifetime and stories to tell for years to come. Not to mention, all those fabulous photos to improve your Instagram feed. One of my favorite things about traveling is meeting new people. People are much more open to chatting and sharing their experience while on vacation than in regular day-to-day life. There is something to learn from everyone you meet especially fellow travelers. Parlez-vous Francais? Parli Italiano? Traveling to a new country is a great opportunity to learn a new language or at least a handful of words and phrases. Not only is it interesting to study a foreign language but it’s also the proper traveling etiquette when a guest in another country. International Vacation Home Exchange offers luxury homes in 70 countries around the world. Whether your travel interests are golfing, skiing, beaching or any other type of vacation, IVHE has the perfect property for your home away from home. Call the IVHE travel coordinator team today to start making your travel plans. 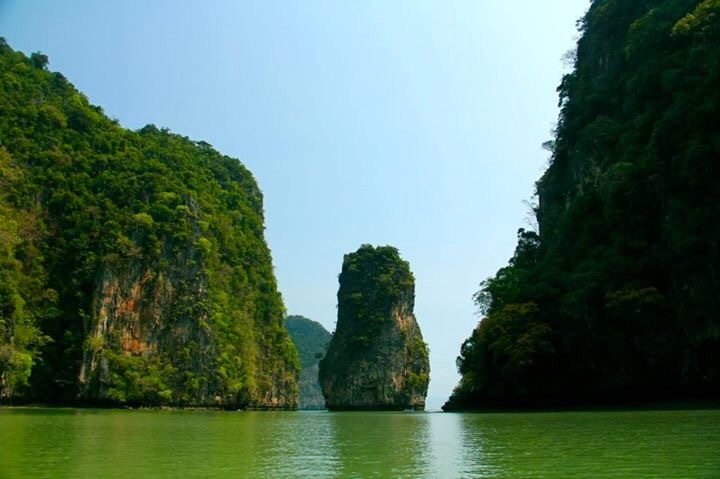 What exotic destination will you be jetting off to? I am fascinated (some may call it obsessed) with ancient history. Every city has a past that exits today in the present. 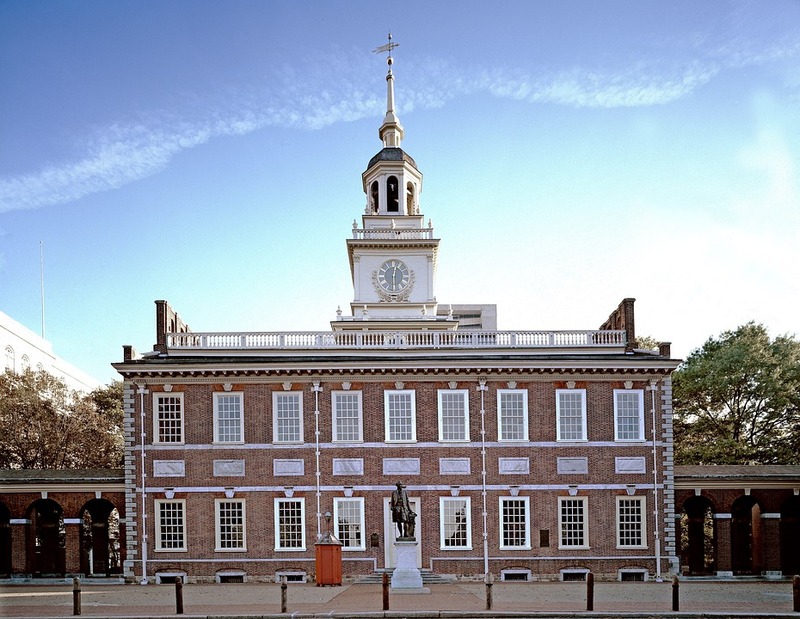 Every building tells a story of war, illness, natural disasters, and perseverance. Though many ancient cities are gone today; their past lives on in history books. There are, however, ancient cities that are very much alive today. Rome and Athens are two examples of ancient cities that are still around today. But there are other ancient cities that are very much alive, but not as well known as Rome and Greece. I prefer to take the road less traveled when it comes to vacations. 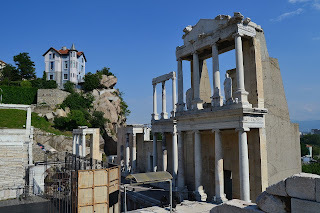 One ancient city that I have my eyes on is Plovdiv. Plovdiv is in modern day Bulgaria. Today, it is the second-largest city in Bulgaria. Plovdiv is one of the oldest cities in Europe with a history of habitation going back more than 8,000 years – even older than Athens. The settlement was originally Thracian, but it became a major Greek and later Roman city. Today, the city has more than 200 archaeological sites. 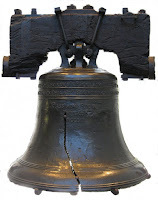 It is like a candy store for those who love history. 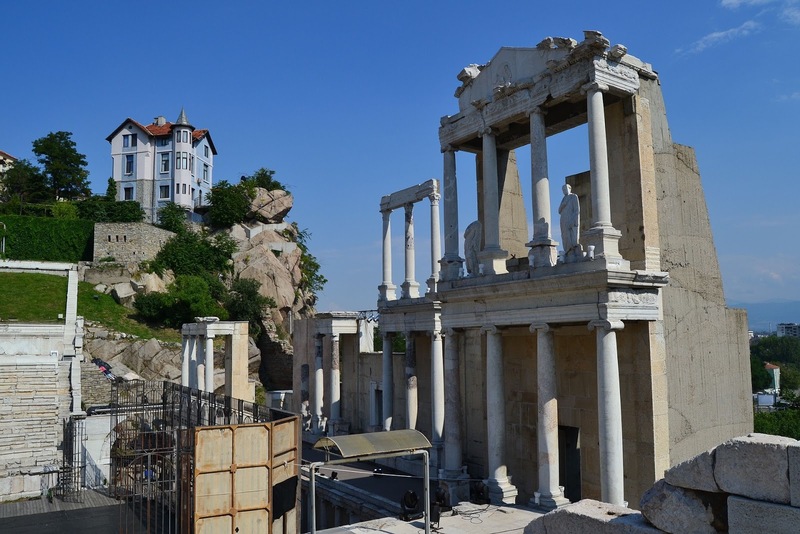 Probably the best-known site is the Ancient Theatre of Plovdiv. The theater was built in the beginning of the 2nd century when the city was part of the Roman Empire. Another history site in the heart of the city is the Ancient Stadium. The Ancient Stadium was the site of many athletic games (again during the Roman Empire). Sadly, time has taken a hold of the stadium. Today, you can only see a few rows of one section. 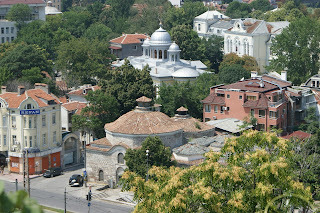 History aside, Plovdiv also has a rich culture. The city is home to several museums and art galleries. If you need a recess from your history lesson, you can either hit the Pamporovo ski resort or one of the many spas south of the city. When it is time to rest, you can head back to the International Vacation Home Exchange property that is located just an hour outside of town. The home exchange apartment is at the foot of the Rila Mountains. 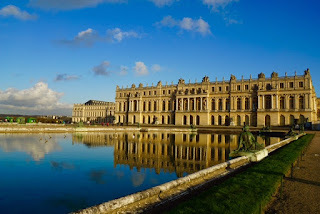 This home exchange is the perfect place to not only soak in some history, but also some scenery. This vacation is the perfect excuse to escape the present and live in the past. It was a last minute decision, made after a couple of drinks (well, okay, maybe a couple more than a couple) at an office holiday party. “Let’s go to San Francisco!” I said. My husband was astoundingly agreeable to my vacation plans, and so a week later we found ourselves at Orlando International Airport, suitcases in hand and boarding passes printed, waiting to travel to California. We have a friend in the area, so we weren’t utterly out of our element, but this would be my first time in the Bay area in over a decade, and a first for my husband entirely. We weren’t exactly sure what to expect, but despite chilly temperatures what we found was an amazingly warm and inviting city. 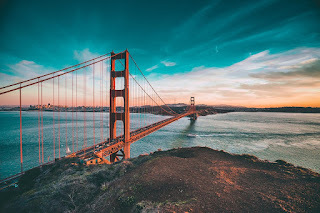 When you think of San Francisco, you probably picture the iconic Golden Gate Bridge, barking sea lions lounging on the wharf, and eating clam chowder out of a sourdough bread bowl at Pier 39. These are all definitely things we sought out during our week-long vacation, but of all of the things we did on our trip, they weren’t the sights that stood out the most. We spent the bulk of our time in Excelsior, Mission Street, and Daly City, which are largely regarded as some of the last blue collar, working class neighborhoods in the Bay area. 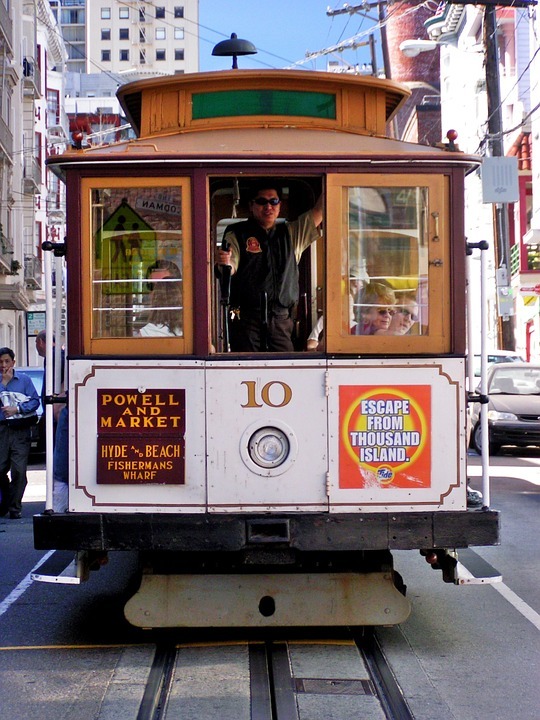 As any local will tell you, each neighborhood in San Francisco is a world unto itself. For us, these particular neighborhoods came to feel like a second home. Climbing to the water tower at the peak of McLaren Park afforded us sweeping views of the entire area and helped us get our bearings. The redwoods there are far from the largest that California boasts, but to two Florida natives such as ourselves, it was a grand experience. Each little corner store and bodega was a treasure trove of exotic produce and snacks, there were unique and inviting bars on almost every street, and the hole-in-the-wall restaurants were among the best we’ve ever encountered. My husband took a special shine to Pupusas (a traditional Salvidorian food, which is essentially a stuffed corn tortilla and something I could happily eat every day for a month). In this corner of SF there are so many vibrant cultures and such an eclectic mix of people; it’s an atmosphere that simply cannot be recreated or imitated. Of course, the local watering hole played no small part in our rosy outlook on the trip – a special thanks is definitely due to the crew at The Broken Record and Hood Grub for keeping our bellies full and our constitutions properly fortified during our travels. 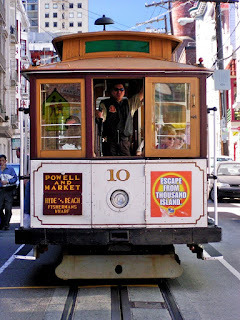 San Francisco’s many tourist destinations are well worth a visit; we could easily have spent several days in Japantown alone and the Botanical Gardens were a sight to behold. 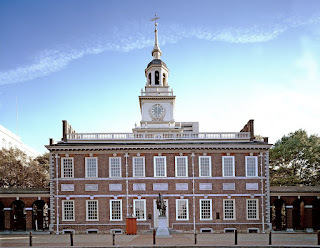 However, if there is any one thing that really resonated with us during our travels, it would have to be the completely unique atmosphere and culture that we found in the heart of the working class districts. We’re already planning our next vacation out west and I’d happily encourage you to do the same. 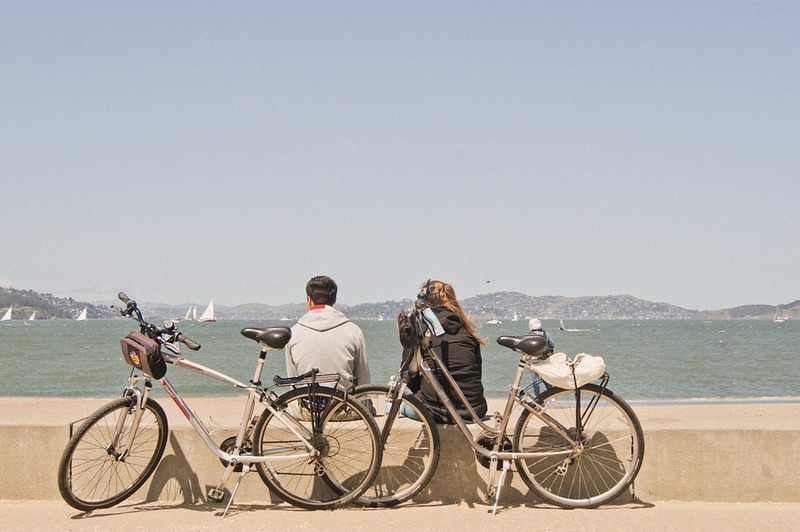 IVHE offers a host of different properties in SF, from Oakland to Golden Gate Park, so you’re sure to find a neighborhood with a particular rhythm that seems to speak right to you. View all vacation homes in California.